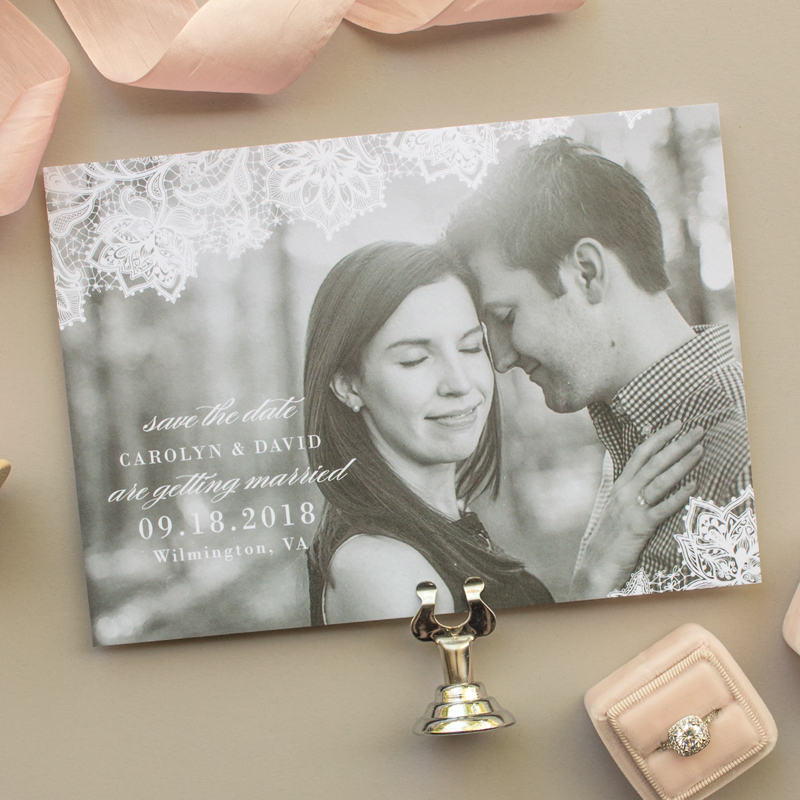 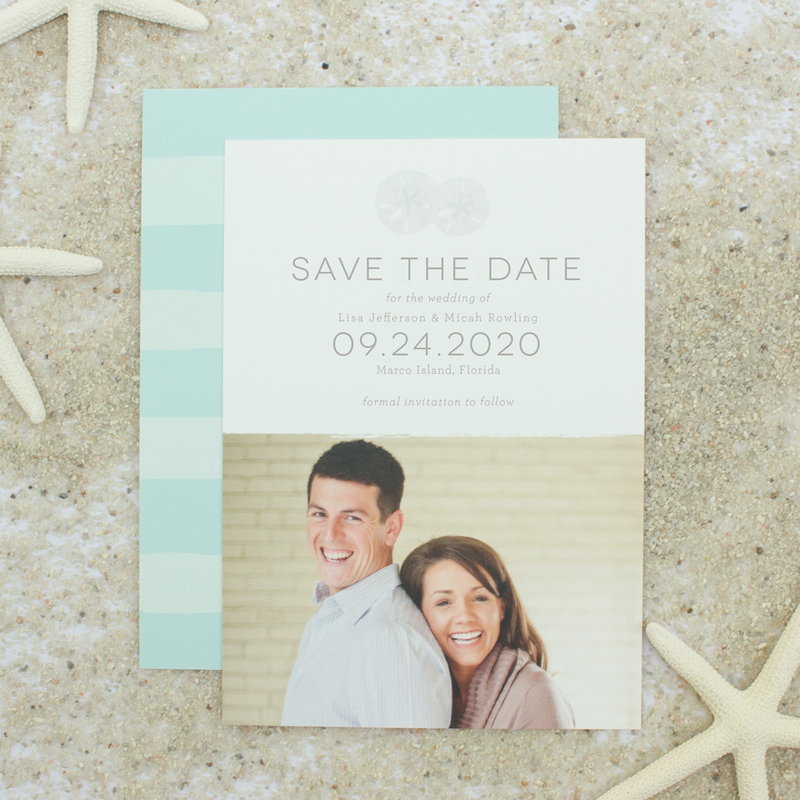 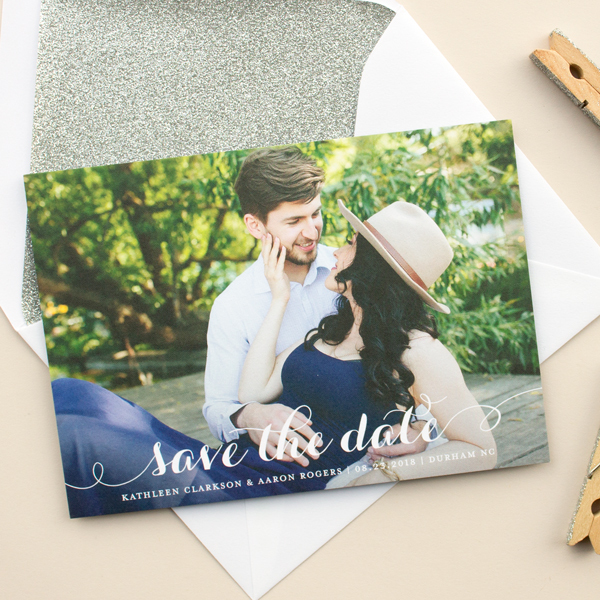 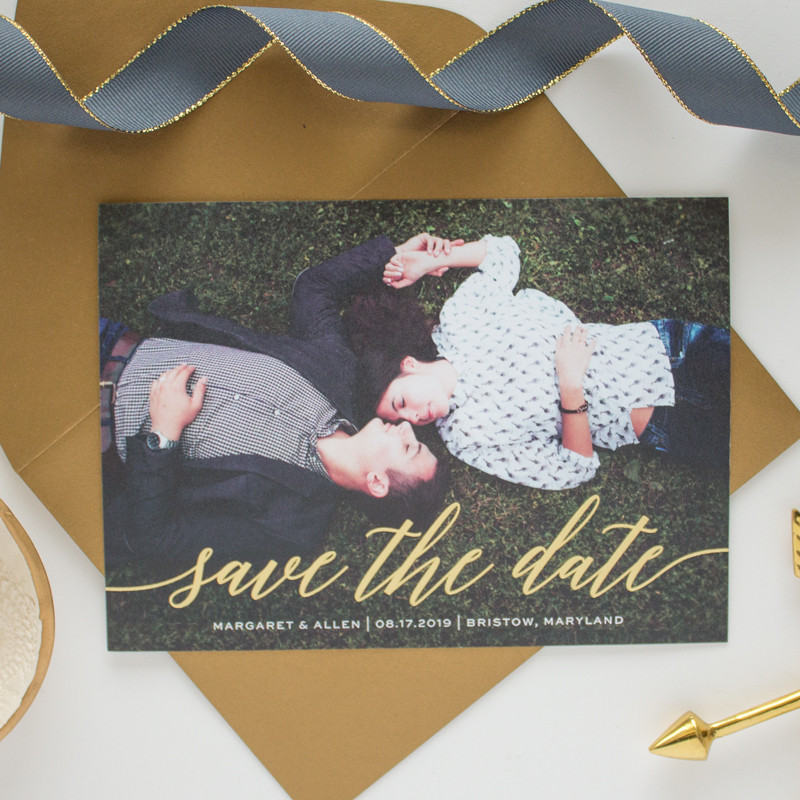 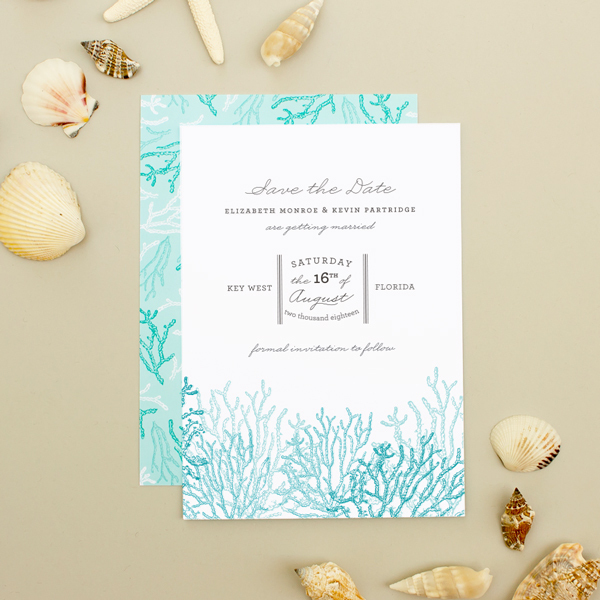 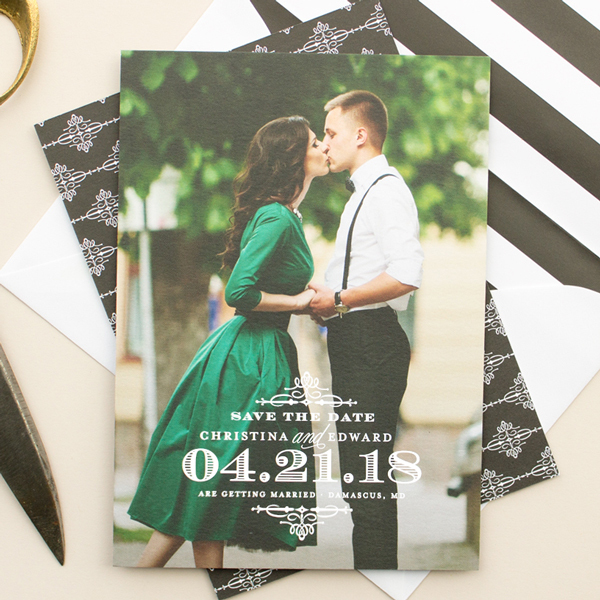 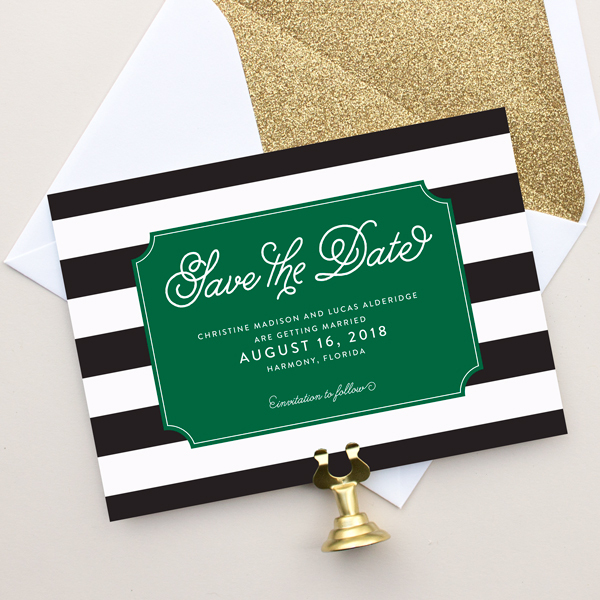 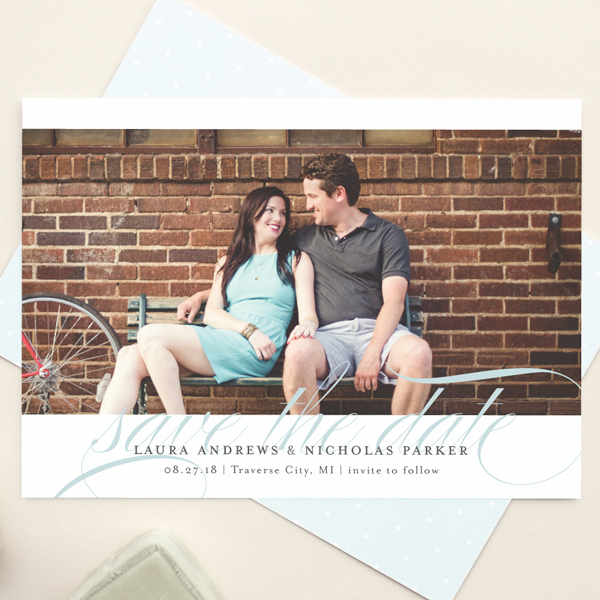 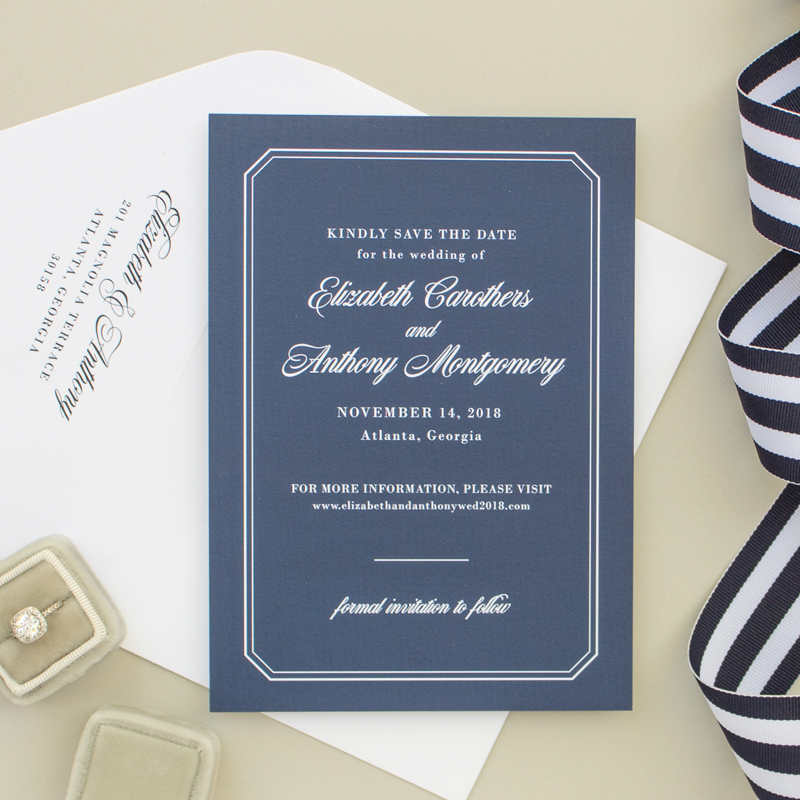 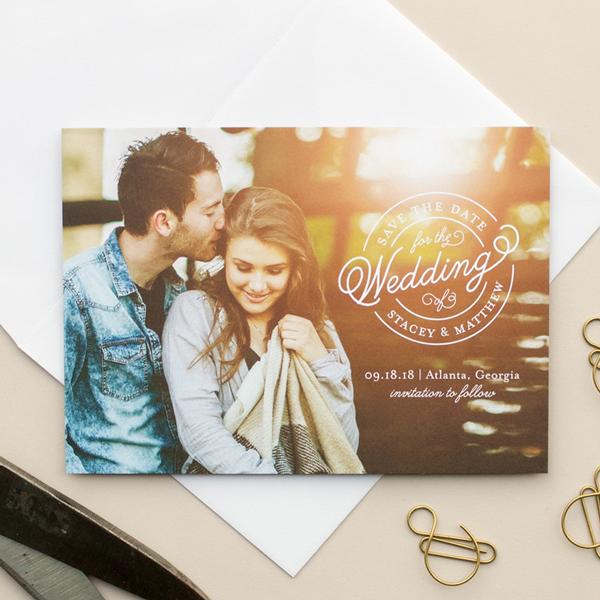 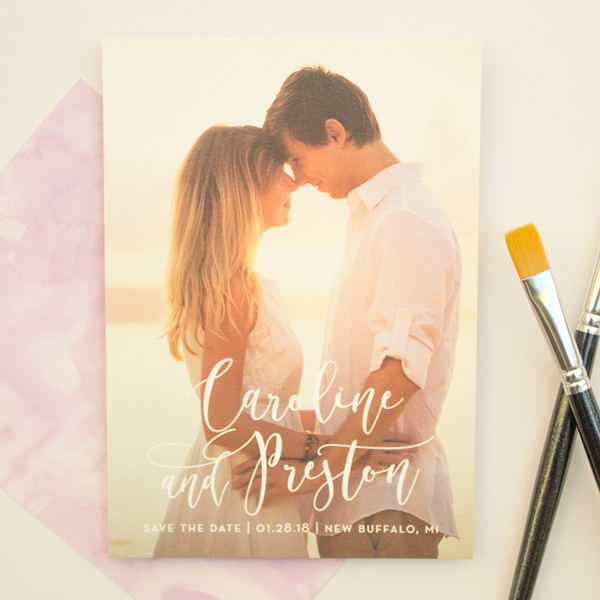 Banter & Charm’s save the date collection features a variety of photo save the date cards and traditional non-photo engagement announcement designs: from modern full bleed photo cards with simple typography to classic styles fit for your formal wedding. 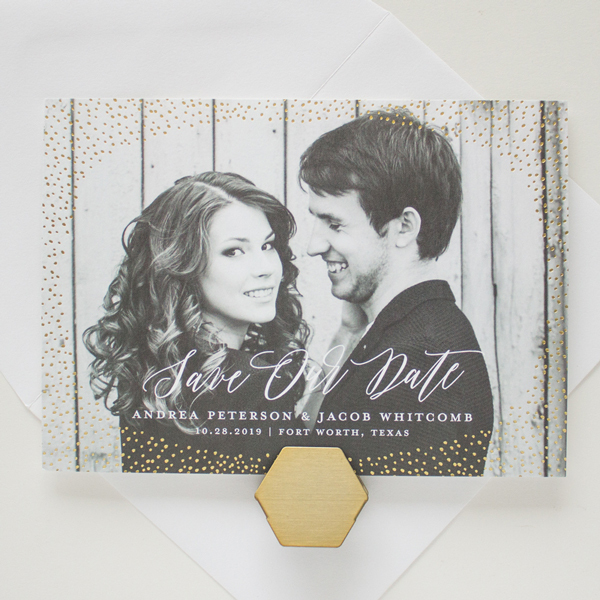 Or pick a design from our Gilded Collection (marked with an asterisk) featuring flat printing paired with real foil stamping in your choice of gold foil, copper foil, rose gold foil, or silver foil. 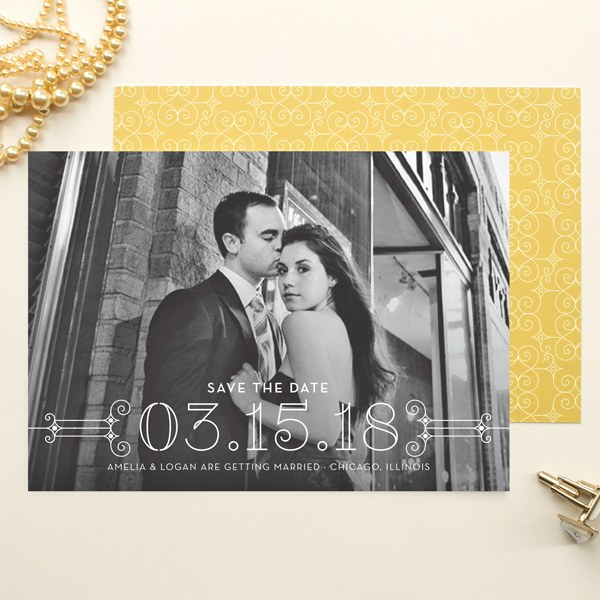 All save the date designs can be ordered as shown, or customized to perfectly fit your wedding style. 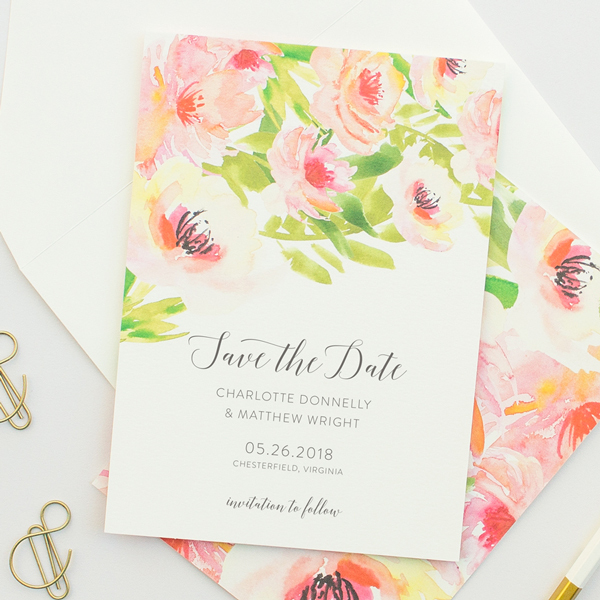 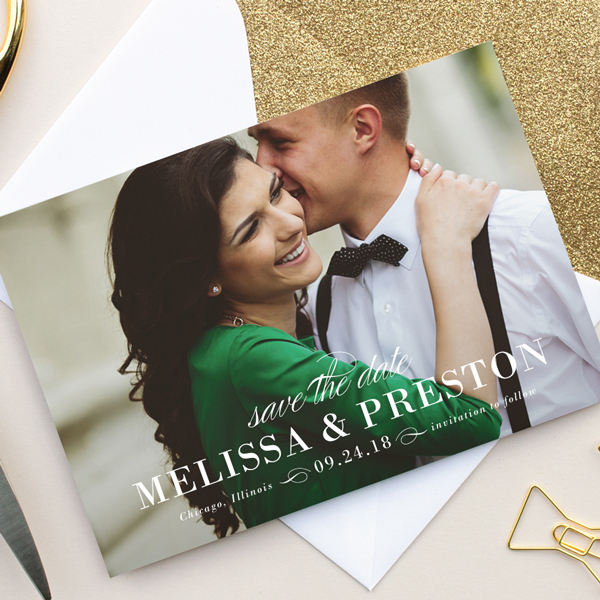 Pricing for save the dates includes changing the wording, colors, and fonts. 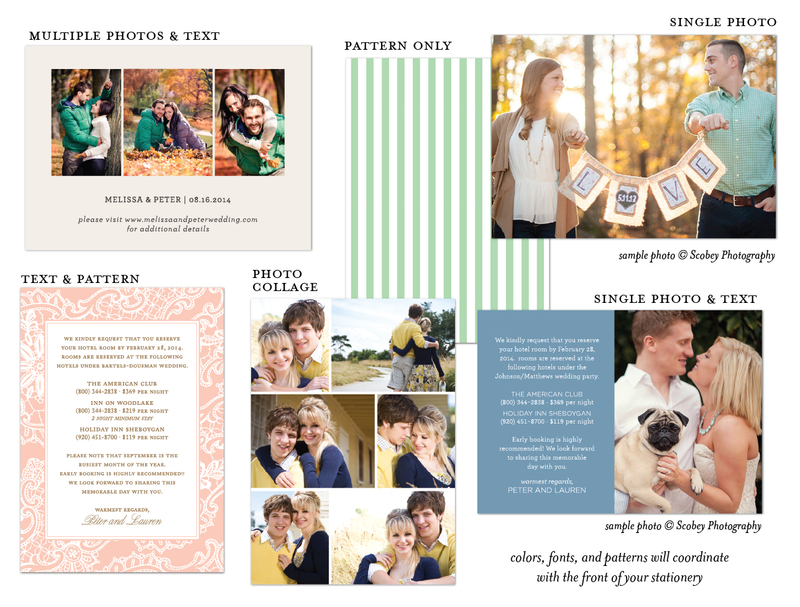 The back will be printed with a coordinating pattern, or choose a custom backer with more photos or information. 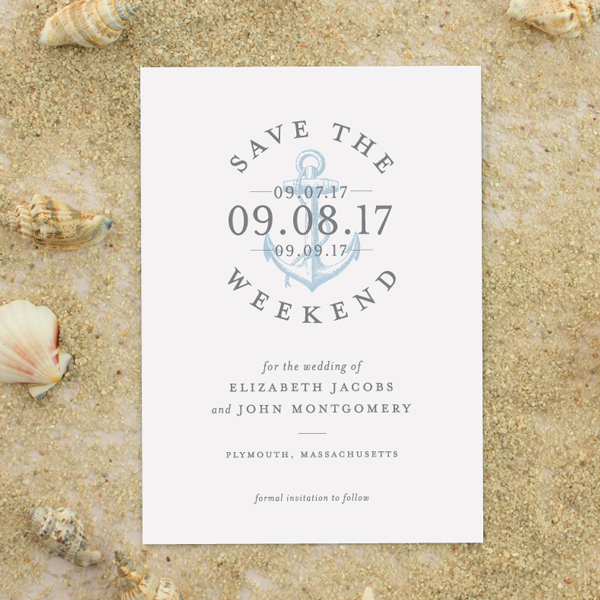 For a set of 100, pricing starts at $200 for flat printing, $400 for screen printing, $500 for letterpress, or $550 for custom foil stamping. 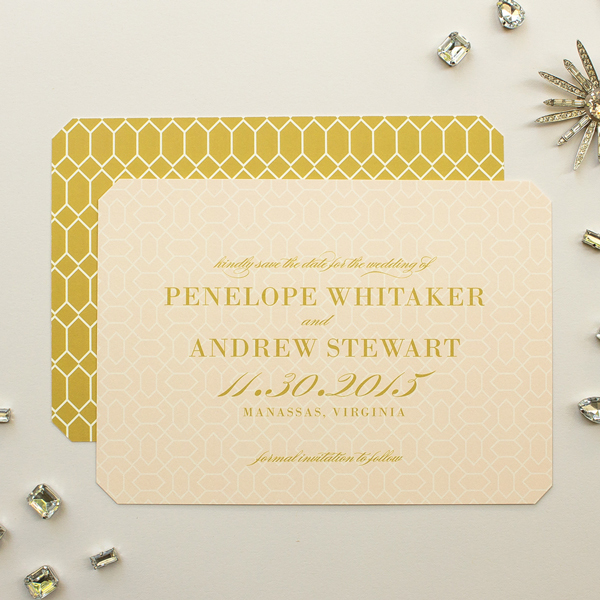 Pricing for Gilded Collection designs (marked with an asterisk) starts at $250 for 100 sets. 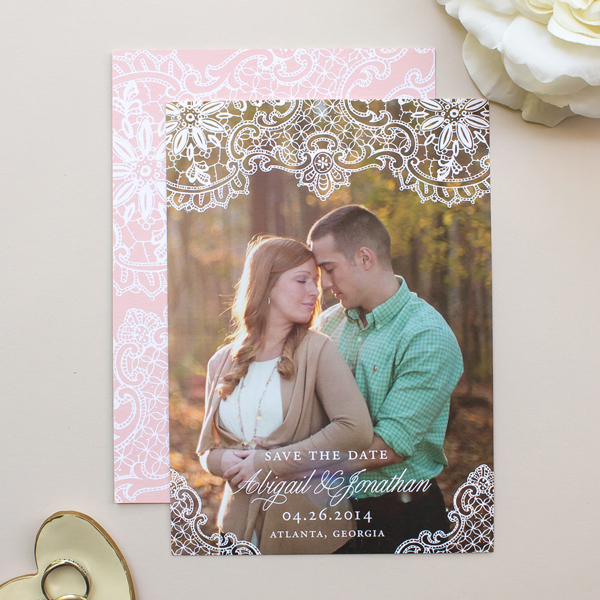 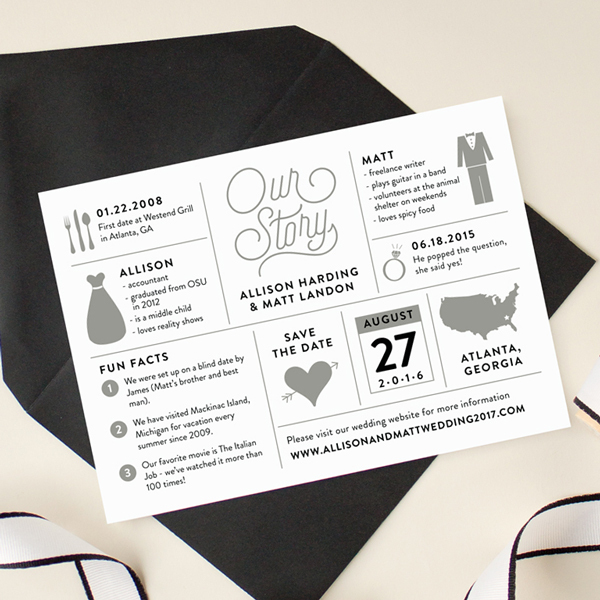 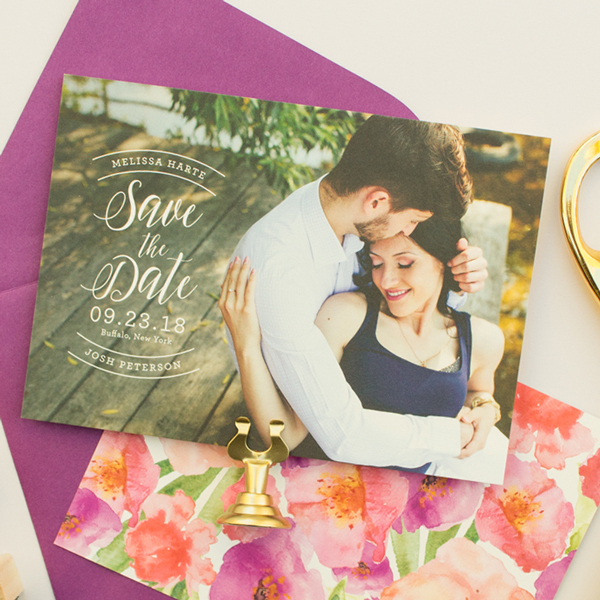 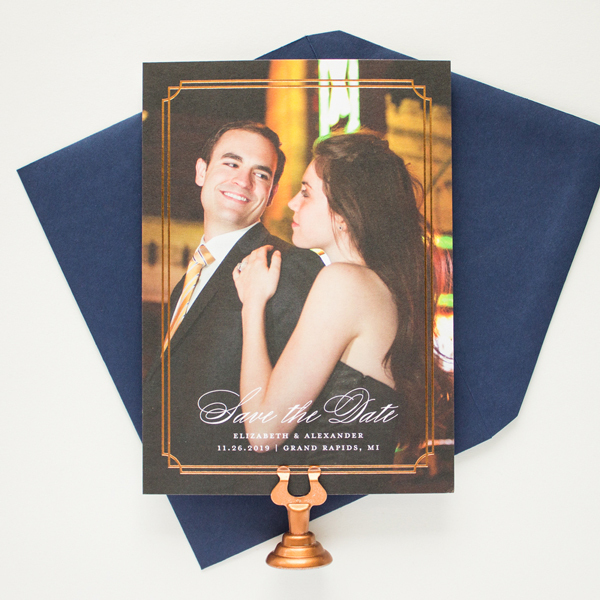 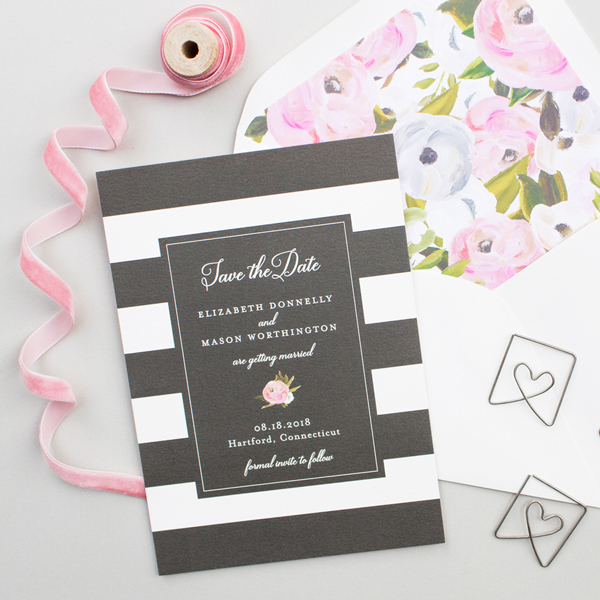 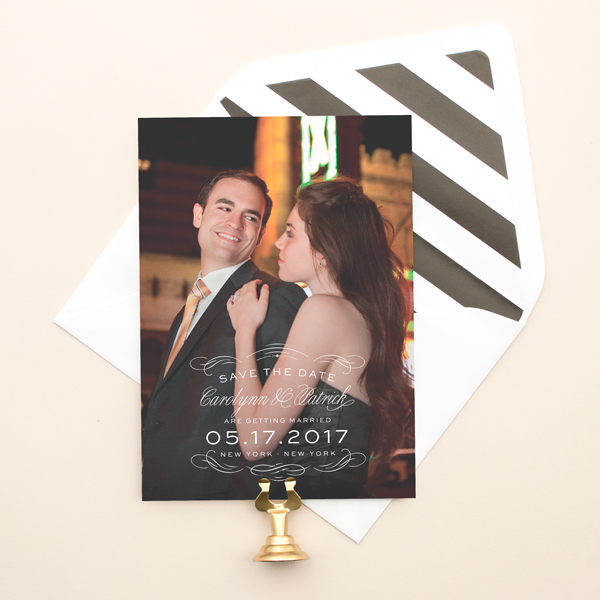 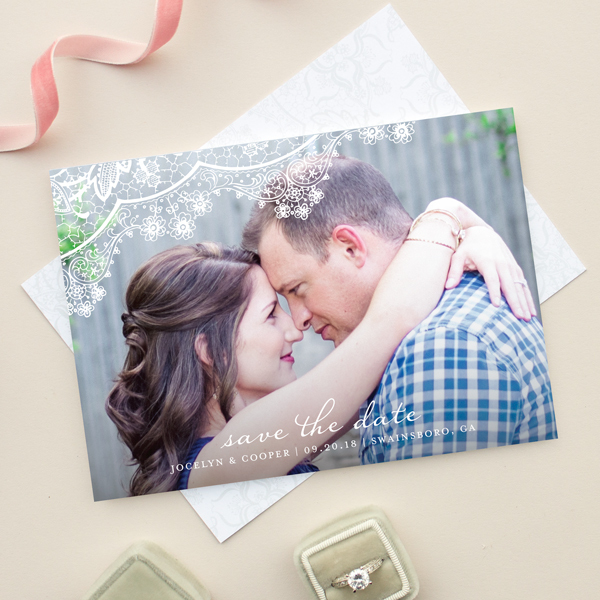 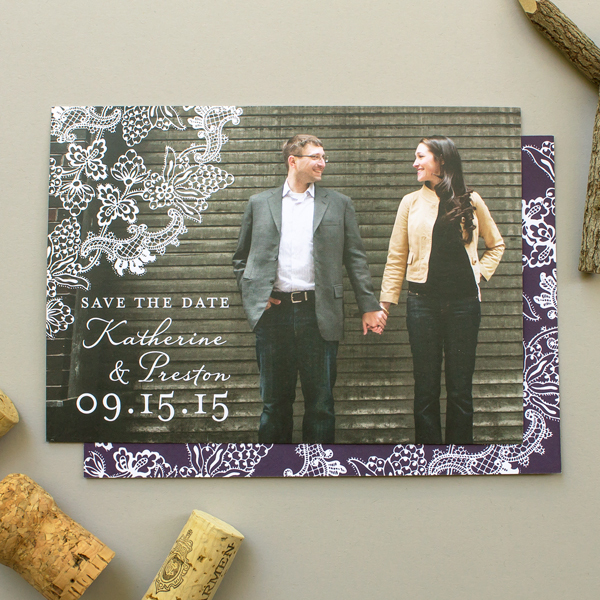 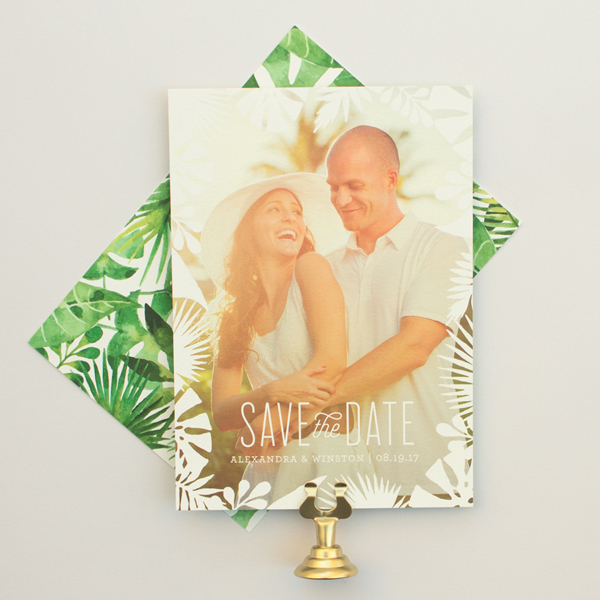 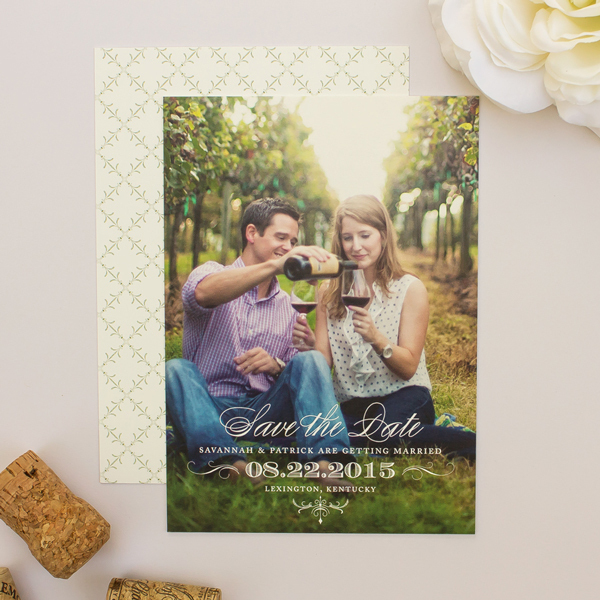 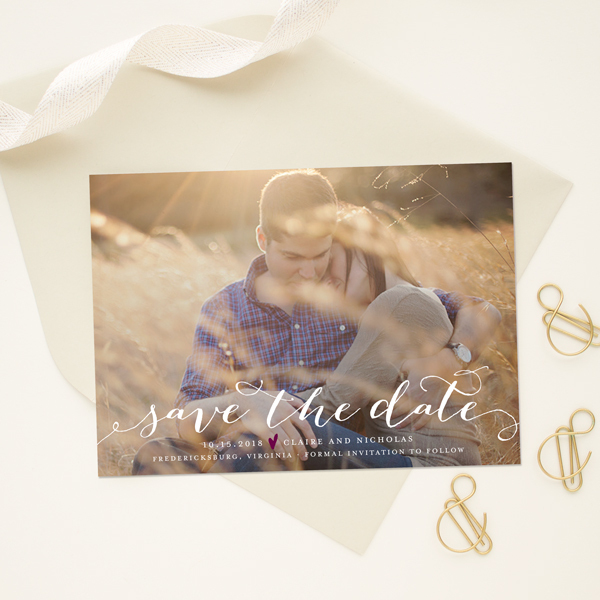 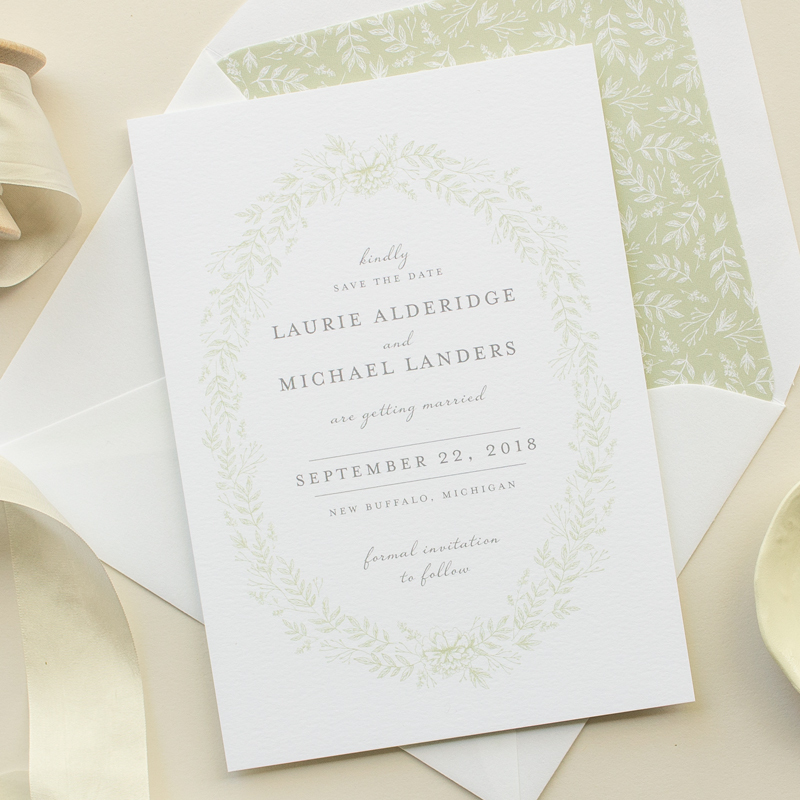 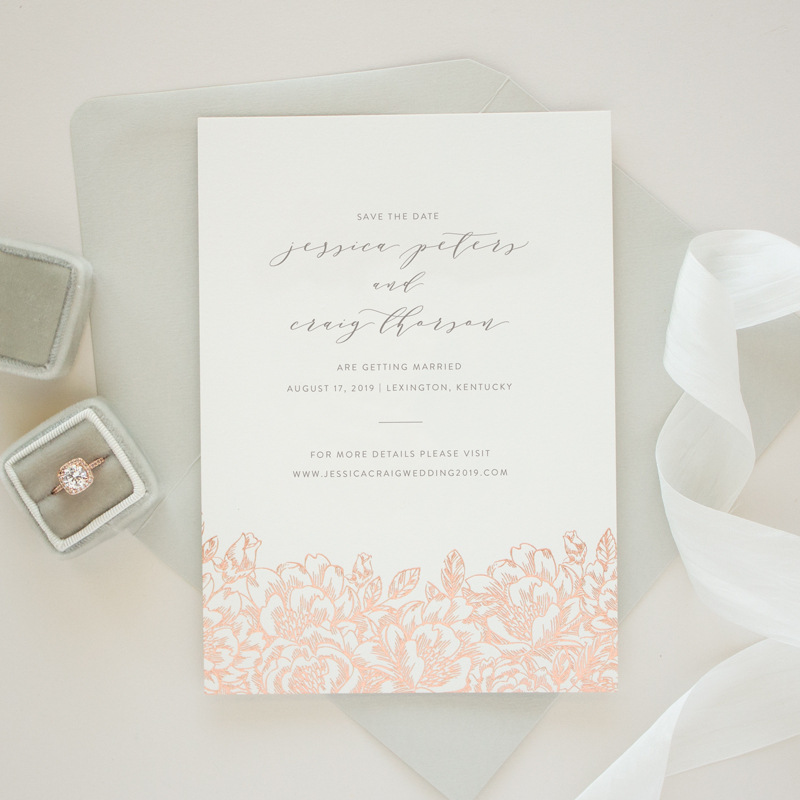 A set includes the save the date and blank envelope. 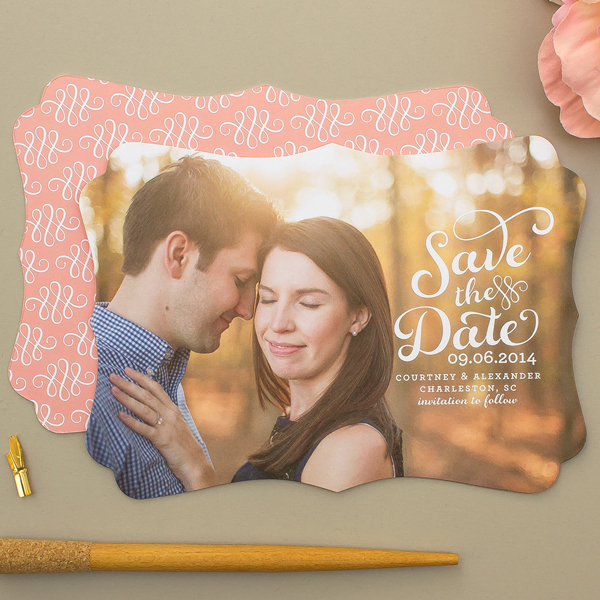 Completely custom designs are available. 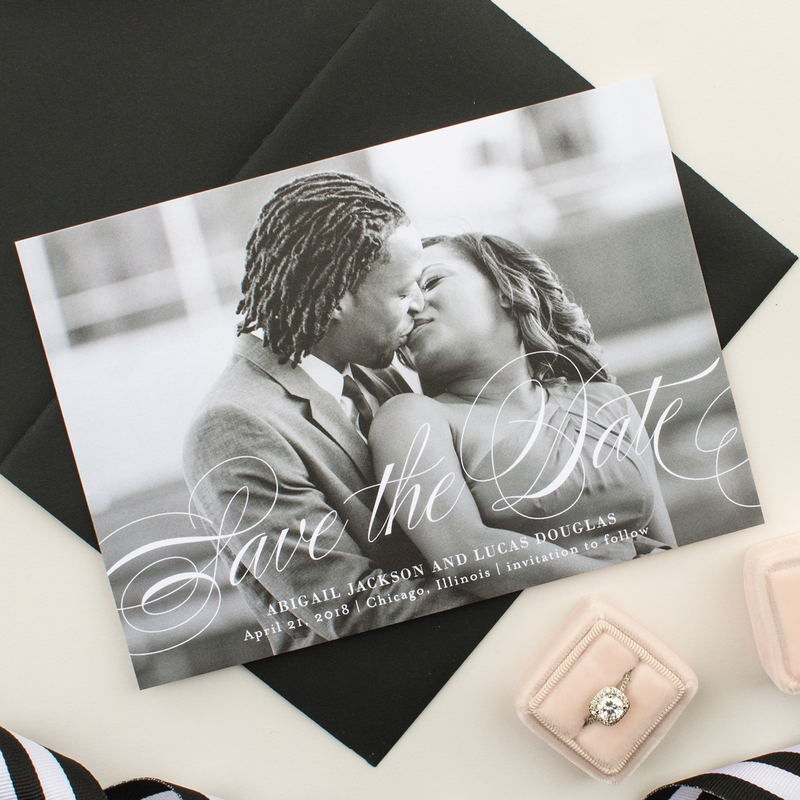 Please contact me for pricing and availability.